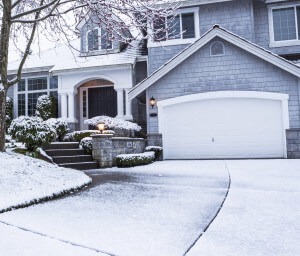 The winter months may offer a welcome change from the sweltering summer heat, but when in the midst of freezing, and sometimes sub-zero temps, it can be quite uncomfortable, even frightening when being faced with such extreme weather conditions. Fortunately, there are some low cost things that you can do to insulate your windows and doors. Insulating your entire home (by a professional) can be costly; however, doing it yourself can be easily done; and, in the long run, can be very cost saving. Stores such as Home Depot offer tutorials and their professionals can guide you through the process, helping you along the way. 1. A really very cheap way to insulate your windows is to use bubble wrap around windows — may not be the most attractive, but can help your home to stay a bit warmer. Studies have shown that heat escapes most through windows; applying bubble wrap can provide a barrier, helping to keep the heat in and the cold out. 2. Energy film or double glazing all of your home’s windows is heat-efficient and relatively inexpensive. Using a high-tech film for windows, with use of a hairdryer can help seal any gaps in the edges of windows. This allows natural sunlight in during the day, bringing heat inside. 3. Using aluminum foil is an easy way to prevent heat loss from radiators, windows, even heat vents, especially on those attached to walls which face the outside. Foil, when placed below the windows and behind radiators can prevent heat loss by way of windows/walls by reflecting warmer air, forcing it to return inside of rooms. The winter months may offer a welcome change from the sweltering summer heat, but when in the midst of freezing, and sometimes sub-zero temps, it can be quite uncomfortable, even frightening when being faced with such extreme weather conditions. 4. Heavy/Blackout Curtains are a cheap way to keep out the cold. If you shop in discount or big lot stores, you can easily find blackout curtains for less than $150. Heavy curtains can help stop heat loss through the window by up to 33%, which can save hundreds of dollars each year. 5. Storm windows, which can be expensive, will actually pay for themselves in the long run. These heavier glass panes are very effective in helping keeping out winter’s cold air, while helping to prevent warmer air from escaping. 6. Spray foam, window and door sealant is another excellent way to insulate your windows and doors. The process of applying foams and sealants can be complicated and may require a professional. Some home improvement stores may be able provide professional service for this, for a cost. 7. Another proven method to insulating windows, while may not be all that pleasing to the eye, is to temporarily secure boards to the outside of windows. Obviously think about the rooms’ windows before nailing boards, as this will prevent incoming sunlight. 8. 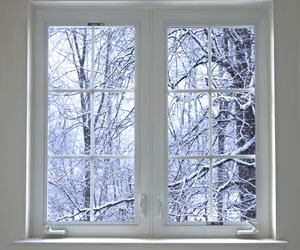 Weather stripping is a very good way to insulate windows. A quick and cheap method for this, is the use of stripping tape — you can easily apply this yourself, and the results are immediate. 9. Finally, there is duct tape for just about every repair job. Many who are on a budget have discovered that duct tape can be applied around the edges of doors and windows, keeping out cold air and drafts. While only useful for a temporary basis, this heavy adhesive is very effective as a quick and inexpensive means of insulation.